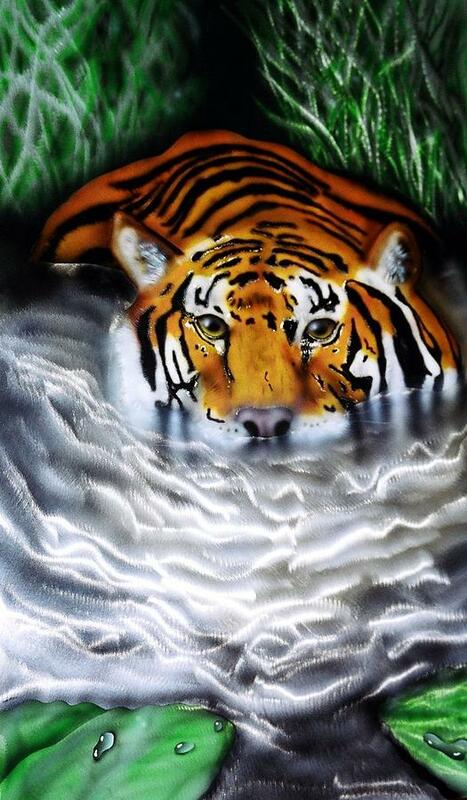 Tiger In Water is a mixed media by Chris Macri which was uploaded on January 15th, 2010. Tiger In Water is a disc-ground aluminum panel featuring a tiger resting in water. The disc-ground effect is used to depict rushing water and is very reflective from different angles. There are no comments for Tiger In Water. Click here to post the first comment.